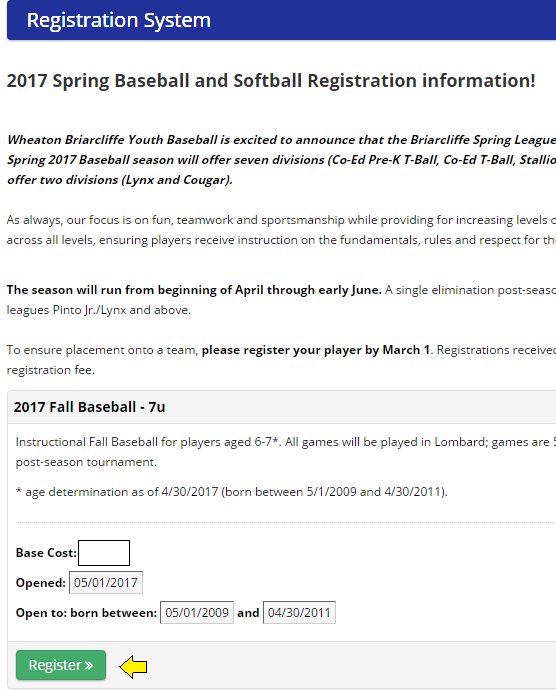 You may edit any active registrations while the registration period is open. STEP 3: Select Member you wish to edit by clicking on the orange box with "Edit?" label (Green boxes indicate member is eligible for league but has not been registered; Red boxes indicate member is not eligible for selected league). 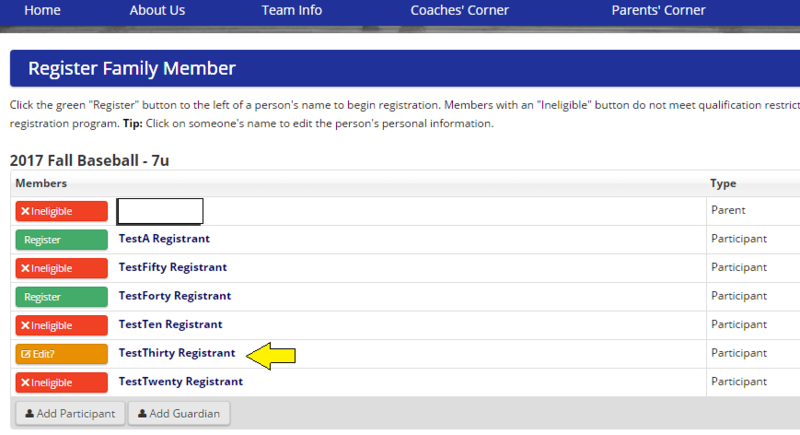 STEP 4: You will be passed to the registration screen for the member/league selected. Edit any information shown and click the blue Submit button to complete. You may edit the registration information as often as needed until the registration period ends. If you have any issues please contact .